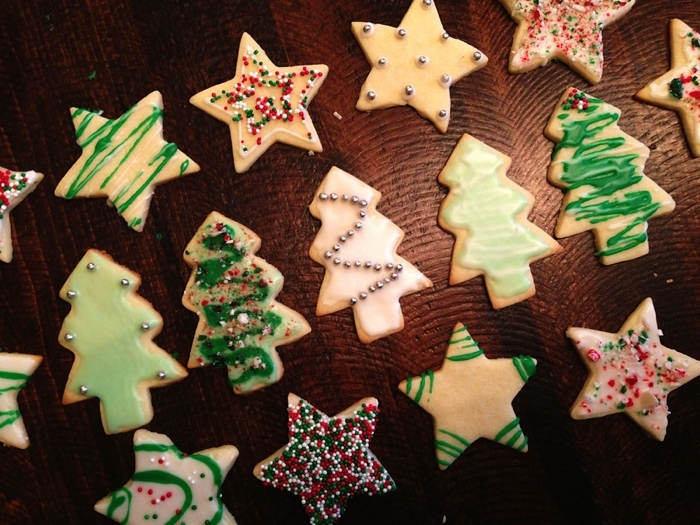 If you don’t have time to make cookies, you can easily buy pre-made cookies at the grocery store (sugar cookies or gingerbread would work best), or pre-made dough. Directions: Stir together milk and icing sugar. Milk can be added if you find your icing is too thick, or more icing sugar can be added if you find it too thin. Use food colouring to make different colours. 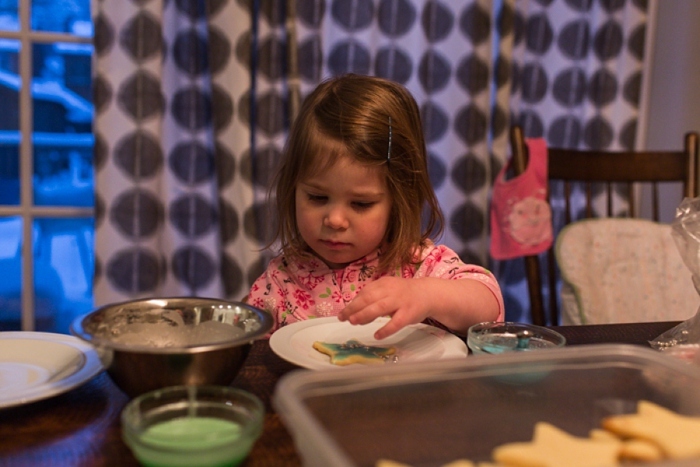 My 3-year old loves anything to do with baking, so this was a great way to get her involved. 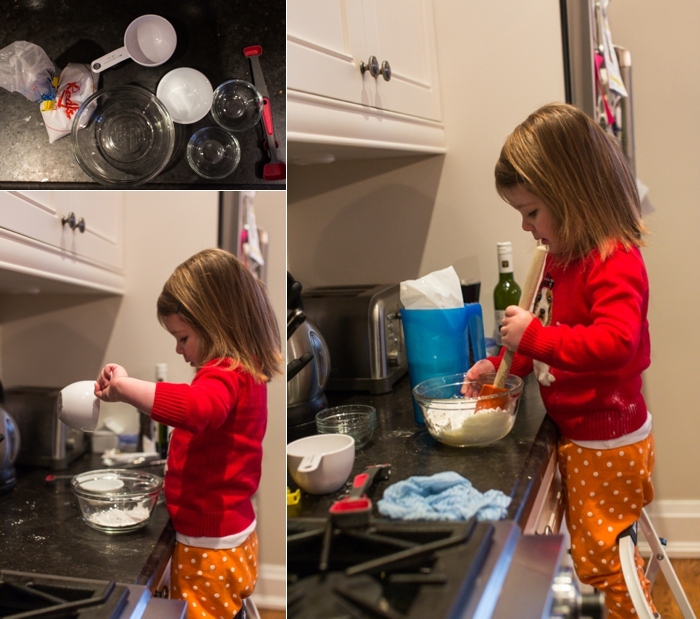 She now has coordination to pour the sugar in and stir the icing herself. But note, if your kiddo is anything like mine, don’t turn your back for more than a second. You may end up with freshly ground black pepper in your icing and have to start over! And here we are with everything ready to go. 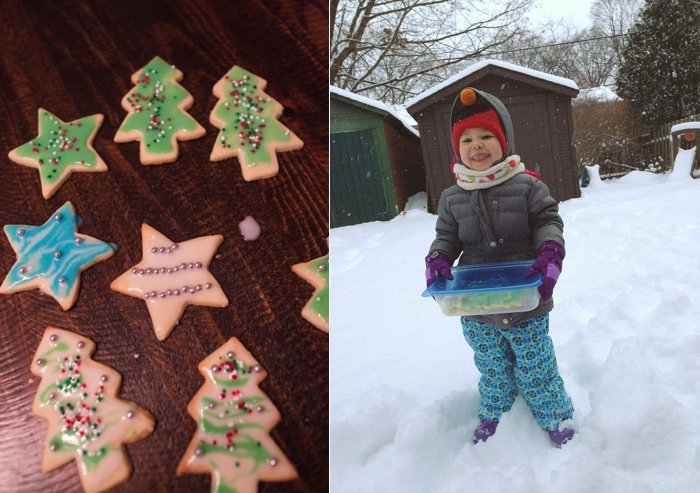 I had made cookies with my friend Darci (who is a pro at baking cookies) a few weeks ago and kept them frozen in the freezer until we were ready for some festive decorating. 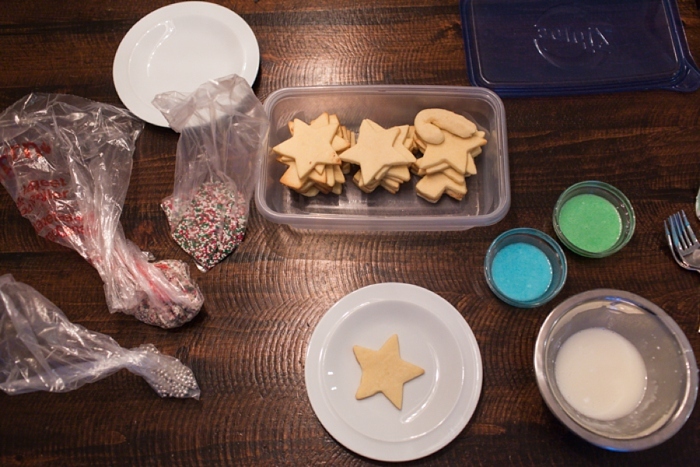 For decorating, we had sprinkles (in red, green and white), crumbled candy cane pieces and tiny silver ball candies (all purchased at the Bulk Barn). Use a knife to spread the icing on the cookie. You can also use a knife or fork to drizzle the icing, making pretty zig-zag lines. And you’re ready to decorate. Christmas cookies are ready for delivery!